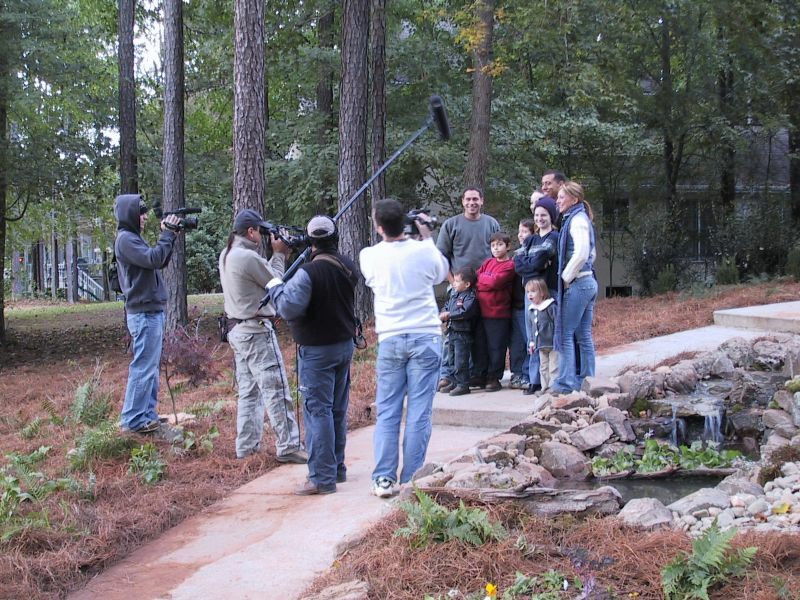 Make Your Yard A Reality TV Star! Ever watched one of those reality landscaping shows and thought, "My yard is waaaay better than their yard."? Here is your chance to prove it! Country Music Television is looking for homeowners with fantastic, fun, creative yards in America for the new series Lawn Wars. WHAT WE ARE LOOKING FOR... This exciting new CMT series will highlight fantastic, fun, creative lawns and yards around America. It will be a nice nod to fun-lovin', hard workin', diy landscapers. A nod from our lazy boy chair that is, as most of us don't have the gumption to git up & git 'er done but sure as heck love watchin' it! CMT is seeking fabulous lawns, yards and even fields or lots that show off the owner's personality. Not simply well manicured lawns but yards that are alive with personality. Yards should be full of life, full of whimsy, full of artistic self expression.... Or just plain out fun! - Bushes trimmed into the shape of the owner's favorite hobby or interest (i.e. elvis, their favorite football team logo, etc.)! - Etches in the lawn carved into shapes, symbols, words. - 3D creations made from recycled items - Statues, fountains, elaborate gardens, etc. - Creative patios, outdoor kitchens, and party areas. And bonus points for including yourself in one of the pictures. The yard owners need to be as big & brash as their yard! HOW THE CONTEST WORKS... Go to CMT's Lawn Wars Reality TV Contest in the Yard Contest section and click Enter This Contest. Each entry consists of a title, description, and two pictures...so be creative! You may make changes to your entry as often as you like throughout the contest. If you delete your entry, you will lose all votes accumulated (so you probably shouldn't do that). To vote for an entry, you must first register on YardShare. One vote per person per entry. You may vote for as many entries as you like. At the end of the voting period on August 3rd, the Top 20 entries with the most votes will be evaluated by the producers and casting directors of Lawn Wars. They will then choose one entry in the Top 20 to appear on the pilot episode of Lawn Wars. The winner will be announced August 6th. Encourage your friends and family to vote for your entry so that you make the Top 20 and have a chance at being a Reality TV Star! Good Luck!